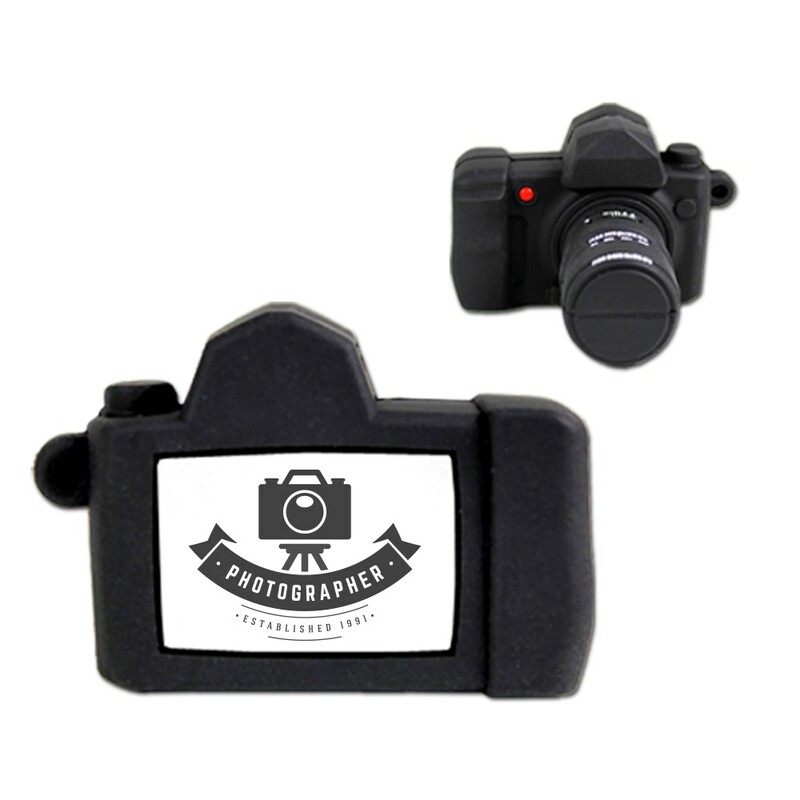 The perfect promotional USB drive for any photographer! Our custom USB drives for photographers are made out of molded soft black PVC. It’s easy to carry around, thanks to a key loop. 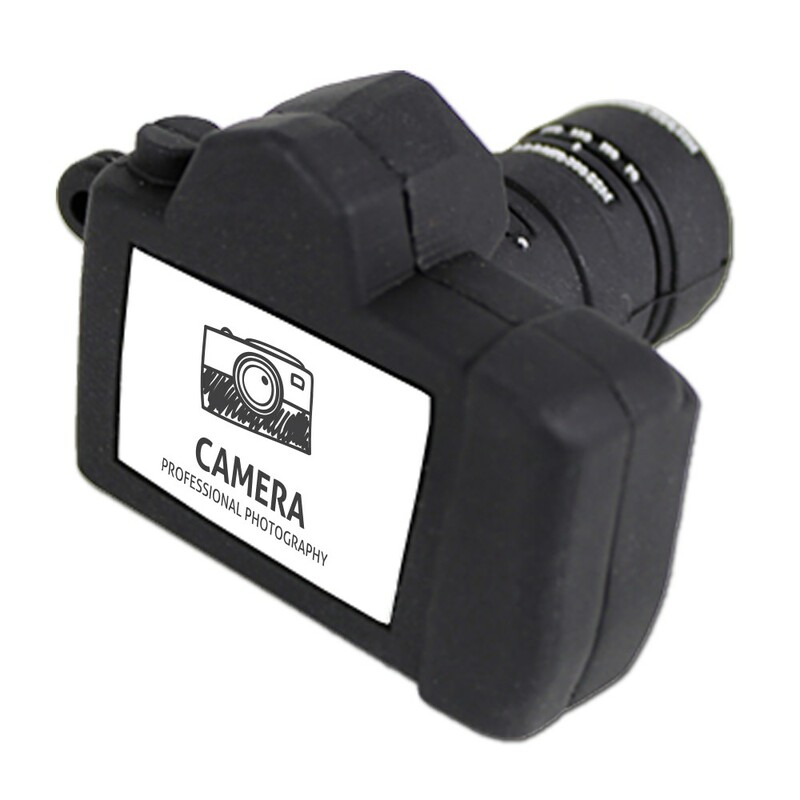 The Camera comes with a large data storage capacity and a limited lifetime warranty. You can customize it with your logo or brand, making it an unstoppable promotional powerhouse. A picture is worth a thousand words; our Camera-shaped custom USB drive is worth a million of them. 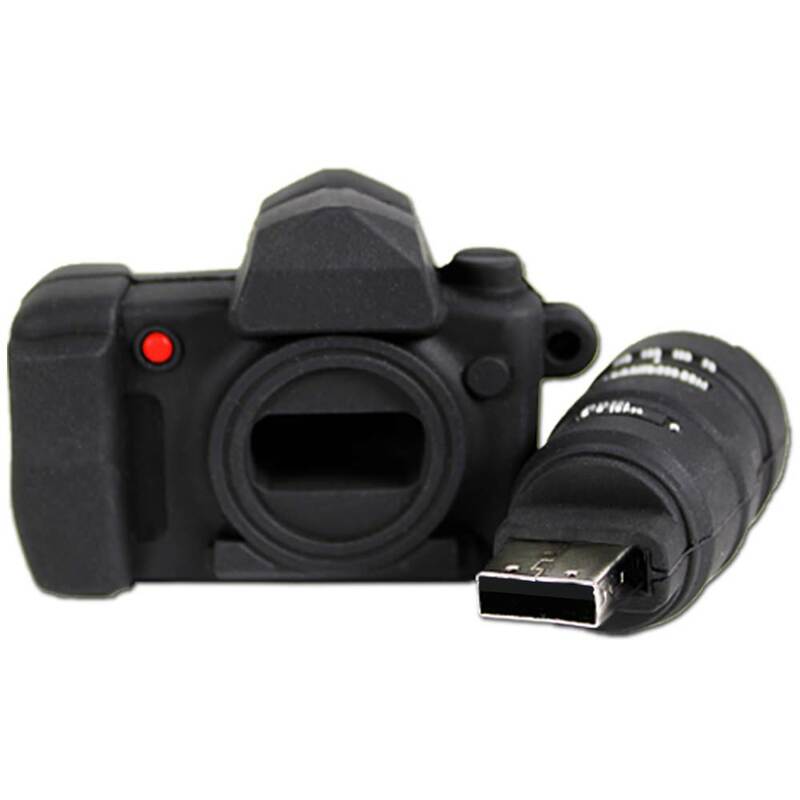 One of our most popular photographer flash drives, this model is made out of molded soft black PVC. Smooth to the touch and eye-catching, it makes a big impression! It comes with a key loop for easy transport, making it a cinch to attach it to keyrings, belt loops, or camera bags. It also comes with a huge data storage capacity. You can customize the Camera with your logo or brand, making it the perfect promotional item for spreading the word about your business. 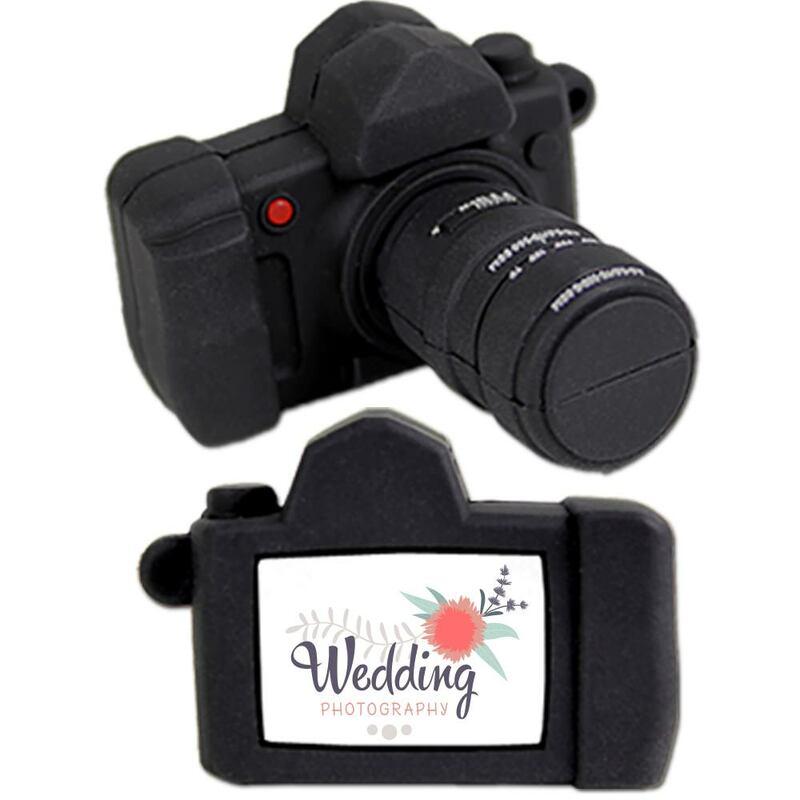 Customize the Camera and it’ll be a great calling card for your next wedding, senior, family, or corporate photo shoot.